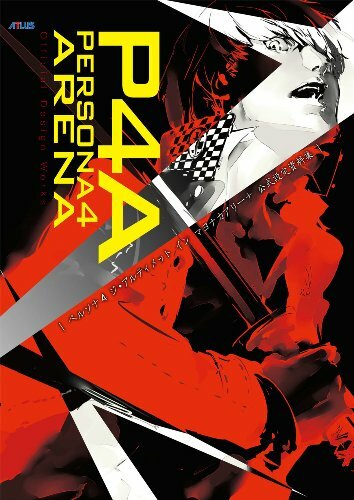 Here's a look at the video game artbook for Persona 4 Arena, the English translated edition from Udon. The original Japanese edition ペルソナ4 ジ・アルティメット イン マヨナカアリーナ 公式設定資料集 was released in September 2012. This is a 176-page paperback. It's the usual large size artbooks that Udon have been putting out. Paper and binding looks good. The presentation style is similar to the Personal 3 and Persona 4 artbooks. It starts off with gorgeous full-page splash art, followed by character profiles plus design and sketches, background art and stage designs, game quotes, staff interviews, and lastly some anime storyboards. Character designs from Shigenori Soejima look even better than in the earlier artbooks, especially from P3. They are more refined, animation-like, expressive and stylish. The character artworks features the high-res in-game screenshots of their poses, front side back profiles, line art sketches of battle poses and animation for both the characters and their personas. There are plenty to look at, and drawings also come with creator comments. The character designs form the bulk of the book. Next we have the beautiful background art and stage designs. The lighting and atmosphere are spot on, beautiful. Unfortunately, there are only 7 pages and the locations are printed quite small, sometimes squeezing as much as 10 onto a page. That's the part of the book where you don't get full satisfaction. Creators interviews are with the developers Kazuhisa Wada and Yuichiro Tanaka from Index Corporation, and Takumi Iguchiya from Arc System Works. They talk about the production of the game, the characters and story. For fans of the game or perhaps Shigenori Soejima character art, this is a great book to get. While it has slightly less pages that P4's artbook, I feel that they packed in more art here.